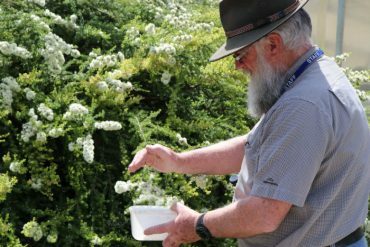 Out of a recent survey and discussions at workshops in August the most mentioned pests of concern in Western Australia were med fly, weevils, woolly aphids, mites and thrips. 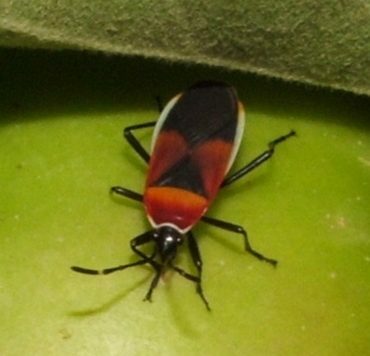 The Spring and Summer months are a good time to be on the look-out for Harlequin Bug in the orchard and applying management strategies to reduce their numbers. Harlequin bug Dindymus versicolor (Herrich-Schaeffer) is a native Australian plant bug in the family Pyrrhocoridae. 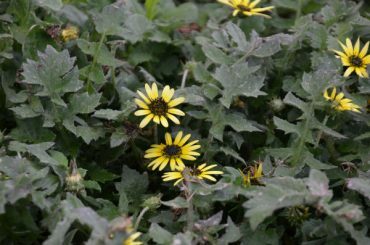 Broad-leaved weeds such as capeweed Arctotheca calendula, marshmallow Malva parviflora, and fat hen Chenopodium album are common throughout Australian fruit growing areas. 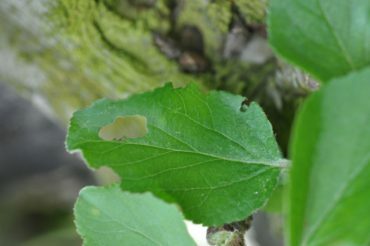 These plants often support pest species such as lightbrown apple moth, harlequin bugs, and thrips. Control of the weeds will help reduce prevalence of the pests. 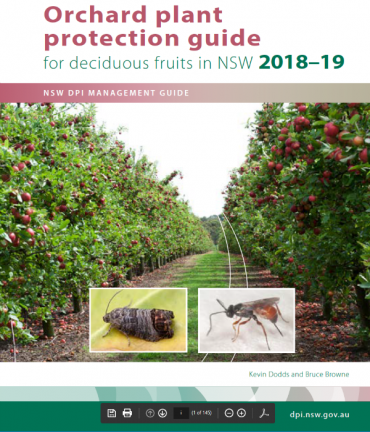 Monitoring the populations of pests, diseases, weeds, and beneficial organisms such as predators and parasitoid wasps is an important component of implementing integrated pest, disease and weed management in orchards. 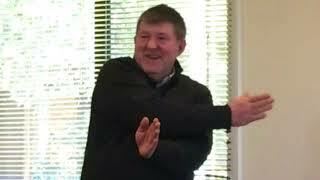 It does not need to be onerous or time consuming.